Add Vuzix to the long list of manufacturers who want a piece of the VR pie. Sony, Microsoft, Facebook and HTC have all recently announced virtual reality projects, and with Vuzix part-owned by Intel, another big player has jumped into the ring. The IWear 720 is worth highlighting for a couple of reasons though. 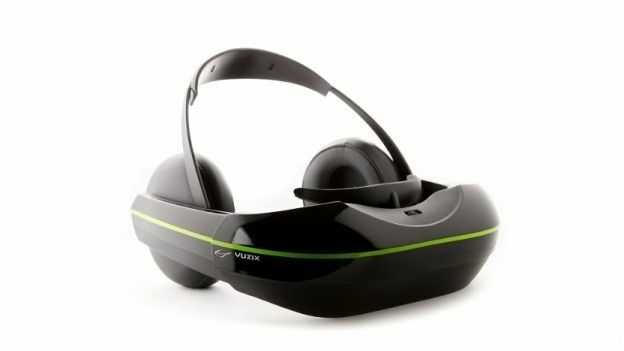 Firstly, Vuzix has actually built the headphones into the device - a godsend as far as we're concerned, provided they're decent quality of course. We understand people have their own preferences in terms of headphones, but when you're providing a headset that is supposed to be totally immersive, it seems a no-brainer that you should incorporate audio as well as video. Secondly, Vuzix is the latest of many to opt into Razer's OSVR program - a group of partners dedicated to developing an open source virtual reality platform. This brings the total up to around 50 partners in total, a pretty significant number that makes OSVR a worthy force in the VR rat race. That means it'll play nicely with any consoles, TVs or PCs, theoretically. The IWear 720 itself offers a 130-inch display at a resolution of 1280 x 720. That's 720p, basically, which comes in slightly below the 960p res of the latest Oculus Rift. It's not the heftiest specs-wise, but support for OSVR, along with support for both Unity 3D and Unreal game engines could make Vuzix offering a worthy all rounder.